Many marketers have ventured off and gambled with demand generation programs of unknown ROI, committing thousands, even millions of sacred marketing budget with no guarantee of return. Performance Based Demand Generation provides that guaranteed SLA between the programs marketers run and the results they achieve. Ultimately, they get exactly what they paid for. Harnessing the full potential of b2b demand generation requires the unity of both inbound marketing and outbound marketing. Together, the two disciplines produce measurable ROI, accountable results, and direct contribution to the top line. What better way to engage a marketing services vendor than to know exactly what you are paying for? Green Leads prides ourselves in being a pure Performance Based Demand Gen company. Every service we offer is priced as a per-deliverable offering. You get what you pay for. noun (in-bound·mahr-ki-ting): 1. the activities causing prospects to find a company's products and services through search engines, blogs and social media, and converting them to a sales lead. 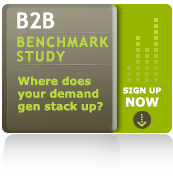 2. essential to Unified Demand GenSM best practices. noun (out-bound·mahr-ki-ting): 1. targeting prospects to engage them in a selling relationship regarding a company's products and services through phone and email. 2. essential toUnified Demand GenSM best practices. Quality vs. Quantity - What makes a sales ready lead? Thought Leader Interviews - What are best practices?